A settlement under the name of Krstur was mentioned before 1751, which is considered the beginning of contractual settling of Ruski Krstur as part of the landed estate of Kula. In the previous centuries, although the sources were rather scarce, we know that the area of Krstur was inhabited by Serbian population who receded under the onslaught of the Turks and, due to poor climatic conditions moved to other places. The Ruthenians were settled in an organized way, covered by a letter of guarantee which the state administration (Franz Joseph de R�dl) gave to a freeman, Mihaly Munkaczy, in order to settle the first families at Krstur. It is known that before that time the Kosceljisko area was settled in a haphazard way by 11 Ruthenian families: Gregorij Sabov, Mihal Kolar, Janko Kudla�, Mihal Rac, Djura �izmodij, Mihal Fogaras, Janko Emedi, Djura Luteran, Vasilj Terek, Vasilj Zahata, Georgij Luka� an his son Bela. 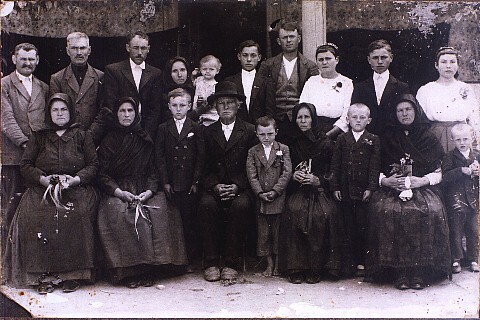 These Ruthenians came from the districts of Zemplin, Borsod, Sabolcz and Erdely. After the Pozsony Convention in 1687, the Habsburgs acquired the right of succession over Hungary. The southern parts of Hungary, uninhabited and rich in arable soil, called both for farm labourers and frontiersmen to fortify the southern borders in the Habsburg monarchy. In order for good farmers and their German landowners to settle in southern Hungary, somebody had to prepare homesteads, build houses and outbuildings for an intensive growing of grains and livestock. As forerunners, the Ruthenians came in mid-18th century on a contractual basis and never by decrees, irrespective of various forms of written guarantees. At first, neither Vienna nor Budapest knew anything about it. The administration of the land estate at Kula only was aware of the settlement and had a consent of the higher administration of Baja. The first families came without any plans while after 1751 the arrival was organized and this first wave ended in 1768. The first founders of Krstur grew tired of freely wondering from Ungvar to Mako, occasionally going sideways, but generally following the Tisa river and its watershed. During the first wave and sometimes even after it, the families who settled at Krstur maintained more of less overt relations with the core which had remained behind the Tisa, in Hornjica. The influx of Ruthenian families depended on the attitude of the estate administration at Kula: when they were needed, the conditions of their settling improved, thus strengthening the wave of immigrants, and vice versa. Before they arrived at Krstur, the Ruthenians had lived from one contract to another, staying at one place while the local resources lasted or till the privileges of the most recent contract were extended to them. It is important to understand that the Ruthenian migrations did not have a brook-size character but rather that of rivers which, in addition to the mainstream, created smaller or larger lakes, sideflows and a kind of relatively stable course. Such a nature of the migrations was made possible by the Ruthenians' status of truly united foreigners, free-migrating people ( Rutheni hospites, vere uniti liberae migrationis), which meant that they were not serfs, that they were not indigenous people in Hungary and that they were Greek Catholics, i.e. under the church jurisdiction of the Vatican. In Hornjica, the indigenous people, as a rule, had the status of serfs. It is the proof that the migratory mass of the people who stopped at Krstur was not made up of the Carpathian serfs, nor that their last known point of departure for Krstur was the previous starting point, but rather that their primary ethnic territory was broader and reached beyond the Carpathians and that the last point before their arrival at Krstur only marked the last stage in the migrations. As foreigners truly united and free-migrating, the inhabitants-of-Krstur-to-be acquired and used, only to move on afterwards, the following rights: organized in organized on units of 60-100 logger families, they contracted clearing of forest plots for 6-10 years, sowing and planting whatever they wanted in any quantities they wanted, within the stipulated term and grazing their cattle. As foreigners, they paid no taxes, unlike serfs, because they worked in forests with a lot of dangerous wild animals, so that they also had the right to hunt, provided that they gave 6-7 dried skin of certain animals to their landowner. When there was something about their status they did not like, they would look for a new habitation (sometimes, after the contract term expired, they agreed to pay certain taxes to their feudal lord). This is why the free-migrating Ruthenians found it an optimum solution to move on before taxes were imposed, before they got tired of it. Many of those loggers' units, from the Carpathians to Erdely, and from Trenchin to Ba�ka, agreed to become serfs or subjects of the Hungarian state; this was the case with the Ruthenians at Krstur. Over the countries, it frequently meant changing their nationality and language, while religion resisted the longest. Exposed to this process, the Ruthenians in Hornjica mostly disappeared in the 19th and 20th centuries, like the ancient Atlantis. Krstur remains as the summit of this historic Atlantis, surrounded by the silence and an uneasy quiet of the central European nations who assimilated and acculturated the Ruthenians. The evidence of this is a chain of Greek Catholic parishes which had been founded pro perte Ruthenorum, from the easternmost flanks of Hornjica, i.e. the source of the Tisa river in Maramaros district, to the southwestern cities of Szeged and Mako, despite the Hungarization, Slovakization, Polonization or Rumanization of their Catholic congregations. The Ruthenians of the first Krstur migration, which clearly started under the 1751 contract (the first wave spanning 1768 to 1780), was lead by the freeman Mihaly Munkaczy, born at �ervenovo (a village near today's Seredne, Carpathians), wherefrom he had recruited settlers for Krstur in the next to the last stage, when a lot of permanent and temporary settlers moved. The Ruthenians of the first Krstur migration came in two groups: one from the U�gorod and Beregov districts and the other from the Abaujska, Zemplin and Borsod districts. According to historical documents, both migrations were aware of the previous stage of the migrations from the northernmost Ruthenian districts in the Carpathians and beyond. The family nicknames born by the inhabitants of Krstur - before they even got there, as well as today - are reminiscent of the truly Rithenian family names typical of the present day Carpathian people. The second and third Ruthenian migrations did not even brush off Krstur because its population had already been firmly rooted by the time of the second migration (1848-1880) and the third (1890-1914). 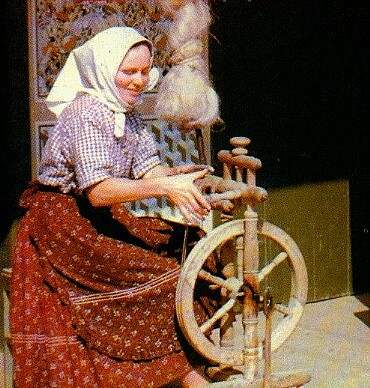 A peculiarity of Krstur was that a number of its citizens moved temporarily to the regions of Srem and Slavonija in search of a better and more attractive living conditions. In the first half of the 19th century, when the demographic picture of Krstur stabilized, its growth and vitality can be traced in state censuses. They show that in 1825 it had 3,941 inhabitants, 1828 - 4,305, 1831 - 4,426, 1836 - 3,463, 1839 - 3,845, 1842 - 4,076, 1845 - 4,245, 1846 -- 4,304 and in 1849 -4,213 inhabitants. Its demographic power reached its peak in 1831 and the population was decimated by the first onslaught of cholera in 1836. If we know that according to the 1770 census 731 out of 1,332 inhabitants were under 20, it is clear why in 1831 Krstur reached its demographic peak. Up to that year, there had been neither natural nor historical disasters and all the generations of permanently settled people at Krstur lived out their full and uninterrupted span of life. It took two decades for the place to recover from the first cholera epidemics. The demographic power of Krstur diminished also due to an emigration process. People left Krstur not only because they did not like to live among their own people, but rather because they had too small estates or simply had not settled nicely when they first got there. From the beginning and also most frequently they left for the nearby Kucura, which, probably as a result of that, became the second largest center of the Ruthenian, after Krstur. At first, the two places were like twins, but gradually became rivals, each of them trying to become the center and heart of Ruthenianism in southern Hungary. Today, wherever there are people from Krstur and Kucura - they are rivals. As early as in the first half the 19th century, the population was both taking root and moving out, just as the "trees start budding in spring", as Kosteljnik wrote with a feeling for the primeval. The people from Krstur and Kucura, the former more than latter, first moved to �id - the estate of bishops of Kri�evci, in 1802 and to Petrovci, Djurdjevo, Vrbas, Varadin, Berkasovo, Ba�inci, Pi�kurevci, Rajevo Selo etc. The second, third and fourth world epidemics of cholera claimed their victims at Krstur in 1836, 1849 and 1873. Within 37 years 1,120 people died of cholera and another 1,602 of the accompanying diseases - typhoid and fever. The fact that Kula was granted 132 forints of aid, Kucura 110 and Krstur 242 shows massive the disaster was for Krstur. Once among the largest villages in the Kula region (according to the number of houses and inhabitants) - larger than both Kula and Vrbas, Krstur was reduced to a medium-size village. The three cholera epidemics accelerated the migration to Srem and Slavonija. The only positive consequence was that the citizens of Krstur learned how to organize themselves in the struggle against natural and social disasters. Ever since they first settled in these parts and up to World War I, the Ruthenians were predominantly farmers. Their craftsmen were organized in a guild, while there were very few priests, teachers and choristers. From the beginning of the 19th century, the village itself supplied priests and teachers. Before that, they had come from Hornjica and a Greek Catholic priest would occasionally come from �umberk. By the end of the 19th century, those from Hornjica usually belonged to the Carpatho-Ruthenian, i.e. Ruthenian intelligentsia, and after the turn of the century and Aponyi's Act on the Hungarization of schools, priests and teachers were, by their national affiliations and their language, Hungarians of Ruthenian background. The inhabitants of Krstur could choose whether they wanted to be farmers or, less frequently, craftsmen. Those without property opted for the crafts more frequently and did their best to learn their craft from German or Hungarian masters. Till the end of the 19th century a number of Serbian craftsmen lived in Krstur as well (as Slavs, they felt more at home among the Ruthenians). Towards the end of the century, the Ruthenians of Krstur took up trade and catering but met with a strong competition from the Jews. In the first decades and perhaps over the whole century, despite difficult natural conditions they had just enough land to stabilize as a core of families who decided to settle permanently. Not only the wealthiest, but also a majority of medium-size of land-owners lived fairly decent lives. In the sphere of economy, the excavation of canals had a major influence of the soil but also irrigation and water transport (road transport also improved after the Kula-Krstur-Od�aci road had been built). Better water management affected the range of crops which were grown. In addition to the standard crops in the area (wheat, maize, barley, oats), some industrial plants were increasingly grown (hemp, sugar-beet, rice, sunflower) as well as mulberry trees for the cultivation of silk worms. The 1880's were thus a real turning-point in the structure of the economy at Ruski Krstur. The extensive production for one's households only developed into an intensive type - market and profit oriented. 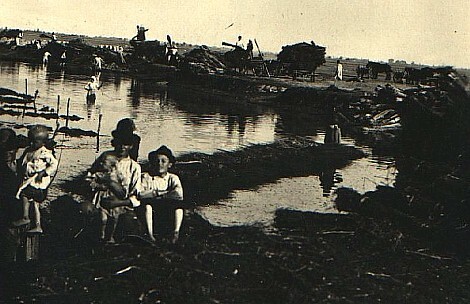 Beside the canal, another major development in and around Krstur was the construction of homesteads ("sala�") outside the village. The chroniclers recorded that the homesteads construction started in 1877 on Bela Radanova and the Pekla moors. This widespread setting up of homesteads in the Krstur area was described by Kosteljnik, who explained that it was made possible by the commassation. Kosteljnik described the bewilderment of foreigners who came to Krstur to see the multitude of homesteads, which lead them to think that it was the mountainous tupe of scattered settlement in a plain. Generally speaking, the economy of Krstur up to 1918 focused on family subsistence based on land cultivation. As a rule, the families and individuals who adopted the new economic principles were more successful and quickly grew rich even though they were limited by their minority status and general village conditions. Religion, including Greek Catholic (with additional difficulties because they were considered neither good Catholics nor good Orthodox Christians, so, instead of bearing a bridge over the gap, they were often treated badly by both) was for a long time the main medium of understanding, but also a factor of cohesion and differentiation in the life of the European nation an minorities. 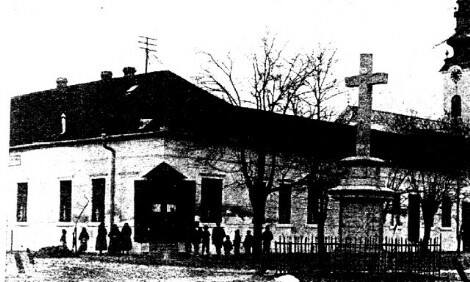 The relationship between the Greek Catholic and Orthodox population in Hornjica in the two centuries from the settlement till World War I was often tense and had its reflections in the life of Ruthenians in southern Hungary (Krstur included) as an aversion of the Orthodox towards Greek Catholic who had allegedly always threatened them, and certain impatience on the part of the Catholics as to when would the Greek Catholics finally become pure Catholics as originally planed. The Ruthenians of Krstur inherited, by birth, popular oral and church Greek Catholic tradition which stabilized the values which had literally been unchanged from their settlement till World War I. In this system, every individual knew what was expected of him, before birth and after death; he could choose among the life of a farmer, craftsman, teacher or priest. The choice was limited not only by individual capacity bat also by the family's social status. This is why the Ruthenians born at Krstur largely stayed there. Leaving the village usually meant denationalization in favor of the state-building nation in whose surroundings the individual remained. Learning and education at Krstur was acquired at confessional, communal, state and homestead oriented schools. The schools with the longest tradition were confessional schools where two grades were taught in two or more years, until the basics are mastered - reading and writing in the mother tongue, arithmetic (for purposes of trading and calculating land area) and religious training. Singing, or rather church chanting was also important, and, towards the 20th century secular singing as well (school and church choirs). The main teacher was a master and the assistant teacher was a preceptor. The communal school developed during the economic growth of the well-to-do village farmers and their involvement in the public life of the village. The state school in Hungary carried out efficient Hungarization through the so called acculturation. 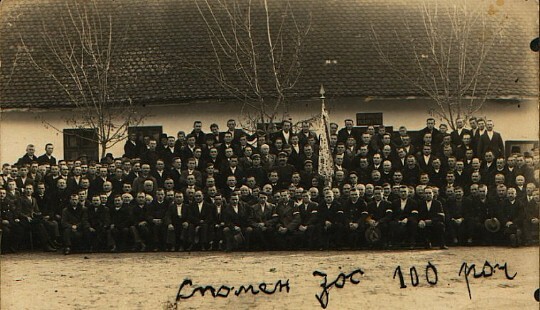 Homestead oriented schools at the beginning of the 20th century were an expression of the resistance to Hungarization and Apony's Act. At Bela Radanova, the homestead teacher was, among others, Dr Maftej Vinaj, who, at the time, wrote his doctorate in law. 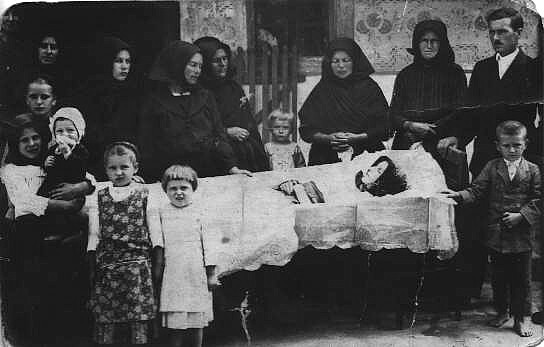 Ruski Krstur in the Kingdom of Serbs, Croats and Slovenes - Yugoslavia (1919-1941) underwent several dramatic periods typical of all Ruthenians' lives in these parts in general. The first one was economically difficult because the first gap between the better-off and the poor grew wider. The increasing number of poor and landless families resulted in an economic emigration to Canada, USA, South America and France. The wealthier village land-owners were still far from being rich in the capitalist sense. In the stage of the initial accumulation of capital, the fact that they were a minority was an obstacle because the system of privileges in money turn-over and profit investment was not conducive to their needs; the privileges were reserved for the capital owned by the state-building nations. 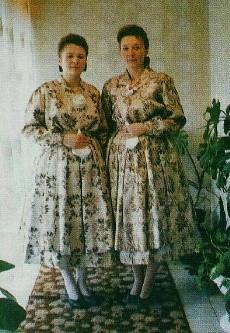 The Ruthenians of Ruski Krstur at that time, and forever after that, understood a deeper truth or a personal historical experience which was to repeat itself throughout the 20th century, namely: that only an economically independent nation, individual, social class or a community can be free. An entrepreneur or a citizen as a member of a state-building nation and the one belonging to a minority are not in the same position as economic subjects because it is only towards the former that the state is inclined through its policy of economic privileges and stimuli. In addition to the mechanism of mostly direct assimilation or systematic acculturation which was typical of the life of the Ruthenians at Ruski Krstur in Hungary, there appeared another economic and social mechanism supportive of the former two - the national state protectionism. In the social life, given this situation, the Ruthenians in Yugoslavia, Ruski Krstur, consolidated the issue of their language, and reaffirms their national and religious identity, realizing that, in addition to the economic independence, culture was the most powerful preserver of one's identity; there was a growing number of literary works written in Ruthenian and from a Ruthenian point of view and the first national and cultural organization was founded on August 2,1919, called the Ruthenian National Society of Education. In 1923, Kosteljnik codified The Grammar of the Ba�ko-Ruthenian Speech. Besides leaning onto the Yugoslav cultural and literary context, the Ruthenians at Ruski Krstur had very close ties with the Ukrainian literary and cultural life. The contribution of the Ruthenian national society of education contributed to the development of the cultural and national identity by 1) raising the consciousness about the potential of the Ruthenians to self-organize, i.e. to become an historical subject in this part of Europe, 2) insisting on an historical, cultural and national entity within an overall Ukrainian cultural and national integration, 3) asserting that the Ruthenian cultural tradition belongs to the East-Slavic cultural tradition and needed integration in the South-Slavic cultural space, 4) claiming that they should not turn their back to the language Ruthenians spoke from birth, and that, although it was quite logical to receive elementary education in that language, it would not harm intellectuals to speak Ukrainian among other languages as well. The rightist trends at the time were not typical of this Society only, but surfaced among other nations of Yugoslavia as well, on the eve of World War II. 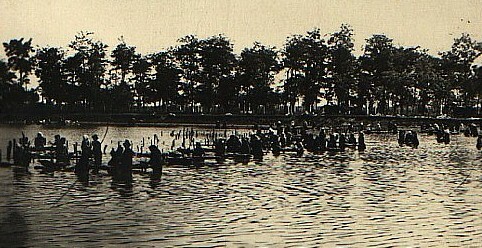 After World War II, till 1991's when the Serbo-Croatian war began, the Ruthenians of Ruski Krstur believed that their historical rights and needs would never be disputed again and that their life would only depend on their creative potential, common sense and their capacity to self-organize. Most of them accepted and experienced the socialist Yugoslavia as their own motherland. Disputes over the destiny of Yugoslavia, in the late 80's made them fell uncertain and uneasy, because they did not have a spare fatherland in some kind of their own republic which could go on living as their national state, as the case would be with the state-building nations of the Serbo-Croatian civil war, the Ruthenians of Ruski Krstur found themselves in a dangerous sphere of suspicions, not arising from their liability, but out of insufficient knowledge or ignorance and aversions that other people derived from it. They found it hard to accept the possibility that their destiny might be decided by someone who neither knows enough nor wants to learn about the people about whom he is to decide. Publicly, the question of equal rights of the state-building nations versus the minorities is openly avoided. Irrespective of the doubtlessly notable results in culture and education, which have amazed the world, the hope of the Ruthenians of Ruski Krstur and Vojvodina as a whole grows smaller faced with the reality of the power and logic of numbers and the laws based on them. Their constructive and loyal attitude towards the authorities suddenly ceases to be a guarantee for a deserved life and development. 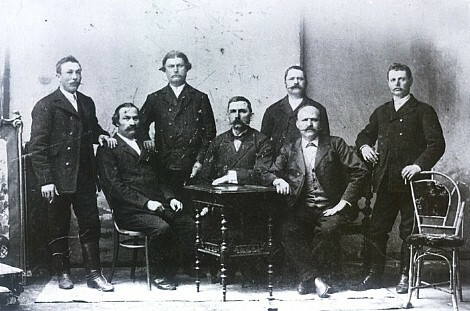 Without the power of numbers and masses, the Ruthenians of Ruski Krstur and Vojvodina will have to play the part of a litmus paper indicating the validity of the current political practice and the authority of those in power. At the same time, they have ceased to control their own destiny. They have been reduced to being the citizens obliged to submit to the political and public will of the state-building nations and the current government. As a result of the influence of politics on the economy, and without a commune with a majority of Ruthenians, but only a local community within the commune of Kula where the arguments of their own political will as a special ethnic community have been too weak, the Ruthenians of Krstur have been forced to ask for what belongs to them as a collectivity. Without economic strength, no collectivity can be free. 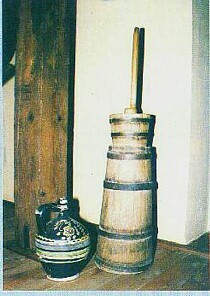 In the 70's and 80's, the Ruthenians of Krstur had a number of achievements in culture and education, not because before and afterwards they lacked creativity, but because the conditions changed and creativity came to depend on the good will of the authorities - sometimes alienated from the Ruthenians. The agrarian reform following World War II did not fully include them either. It is true, though, that a part of the population moved out to Gunaro�, i.e. Novo Orahovo; over the years, they gradually blended with the social, cultural and linguistic milieu of the more numerous and historically more resilient nations. Even though they know how to cultivate land, they are still knocking on the door of the government, which, much like the one 200 years ago, did nothing of what had been expected and promised. 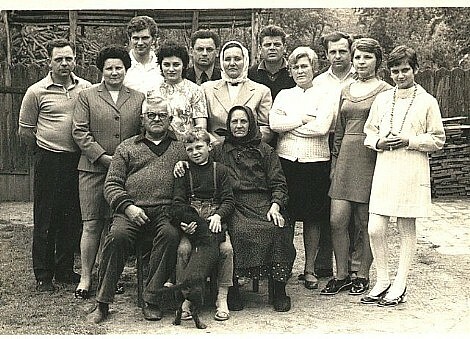 Back row from left to right: wife of �tefan Papuga Te�tvir, Ilja Duda� nee Papuga, Ana Tirkajla nee Papuga, Marja Duda� nee Papuga, Ana Budinski nee Duda�, Sofija Mudri nee Papuga, Ana Pankovi�, her son Danil Pankovi�. Towards the end of the 80's, the Greek Catholic Church reappeared on the historical scene, although it had lost importance among the citizens of Ruski Krstur. Thinking and acting according to the centuries-long standards, the Church has made it clear that in the dimensions of both the natural and religious life it supports the unifying factors of Ruthenians and Ukrainians and not those divide them, although it has not denied the need to respect and cultivate the difference in their cultural and national identities. The last several decades have been marked by some achievements, searches and break-downs in education and culture (theater and folk dances) and efforts aimed at fortifying the Ruthenian national identity at Krstur. In the post-war period, even though education has been offered in Ruthenian, the cultural and national identity can best be cultivated in the classes of the Ruthenian language and literature. The history of Ruthenians has been taught very little in general history classes as determined y the curriculum. The Ruthenian language and literature teaching is specific and best suited to the indirect cultivation of the national awareness. This is why the elementary and secondary school readers and literary passages in them have been designed for the most direct cultivation of the national and cultural identity. The Ruthenian national and cultural identity have been promoted after the war and has found its expression in the spheres of culture, education and religious life. The cultural life at Ruski Krstur gathered together professional and amateurs around two cultural institutions: "The Red Rosa" - a cultural festival of the Ruthenians and Ukrainians of Yugoslavia and "The Memorial of Petar Rizni� Djadja" - a theater festival. The anthem "The Red Rose", after which this festival was named (founded in 1961), is a composition by J. Siv? - "Roses, Red Roses". 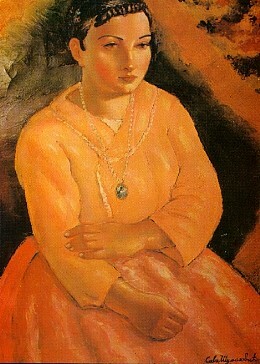 In the 30 years of its activity, "The Red Rose" has developed a character of its own through regular events: art, ethnographic and historical exhibitions; "The Red Bud" - a children's festival of music and folk dances; poetry reading and music festival "Heart-beat"; "The Red Rose" competition in singing and composing folk and pop music and awards presentation; "Echoes from the Plain" - an annual festival of the Ruthenian art and culture societies with humorous sketches; a seminar on various subjects in the Ruthenian history and culture; "Estrada bratstva" - music and folk dance festival of the renowned Vojvodinian and Yugoslav nations and minorities, as guests from Ukraine and Czechoslovakia; "Keresturijada" - a pop/rock groups competition; the greatest value of "The Red Rose" is that it enables, at least once a year, the Ruthenians and Ukrainians in the diaspora to meet and socialize. This is the time when the local people put a lot of effort to host the festival; at the same time, they build their confidence and promote their culture. In the course of 20 memorial festivals of Petar Rizni� Djadja (the first took place on April 6-11, 1969), the total of 207 plays were performed (187 amateur and 20 professional). The Ruthenian amateur theater and drama workshops staged 153 and visiting theaters 54, 170 of them for grown-ups and 37 for children. Among the authors, there were 124 Yugoslav, 83 foreign playwrights and 28 contemporary Ruthenians. According to the type of performances, 61 were classical, and 146 contemporary. Out of the 207, 142 were in Ruthenian, 42 Serbo-Croatian, 12 in Ukrainian. 9 in Slovakian, 1 in Rumanian and 1 in Hungarian. Out of 153 Ruthenian and Ukrainian performances entered for the competition, 131 were directed by Ruthenian and Ukrainian directors, and for the remaining 22, other directors were engaged. In the 20 years of its activity, the drama festival "Petar Rizni� Djadja" engaged more than 4,000 actors and directors and about 1,000 organizers.